A four-door Scion FR-S is coming. Maybe. If Subaru gives it the thumbs up, anyway. But a Facebook post over the weekend has led some to believe it may appear as soon as the Dubai Motor Show this week. Or was it just a mysterious social media screw-up? Here's how this went down, according to Carscoops. 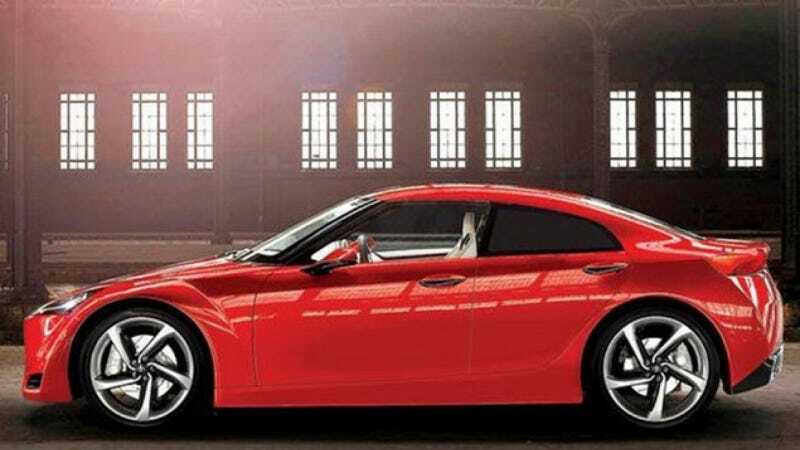 This weekend the Dubai Motor Show's Facebook page had a post with the image you see above claiming the Toyota GT86 Sports Sedan will have its "regional unveil" this week. That's an odd claim for several reasons. First, "regional unveil" implies it has already been revealed at one of the larger, more prominent auto shows and will just be displayed in the Middle East for the first time. Second, look at that render. It's pretty clearly the old FT-86 concept from a few years back with a few doors added — poorly. Give Jason Torchinsky a box of crayons, some maple syrup and a sixer of Mike's Hard Lemonade and he could probably come up with a more convincing image than that. Next, that post has since been pulled down. They do, however, say that the FT 86 Open Concept will be on display at the show. Maybe that's what they meant to put up, and someone got confused and did a post on the sedan instead? That seems like the most logical explanation to me. Or maybe the Dubai show will surprise us with the compact, affordable rear-wheel drive Toyobaru we've always wanted. I'm skeptical at this point, but surprises are always nice.